Candidates who are seeking for the Fiserv Jobs in Chennai must focus on this article. As we provided the exact details of the Fiserv Recruitment 2019, then it will be very easy for you to apply for the Fiserv Recruitment Process. Furthermore, the Fiserv Recruitment in Chennai is to hire B.E, B.Tech, MCA, M.Sc candidates for the Quality Assurance Analyst, Associate role. So, those who are interested can directly apply with the direct link given at the end of this page. Candidates who are ready to apply and participate in the Fiserv Recruitment Process must and should check the Fiserv Eligibility Criteria 2019. It is mandatory for each aspirant to fulfill the criterion to apply. Fiserv is a global leader in financial services technology solutions. They’re helping more than 12,000 clients worldwide create and deliver experiences for a digital world that’s always on. Solutions that enable today’s consumer to move and manage money with ease, speed, and convenience. At the point of thought. 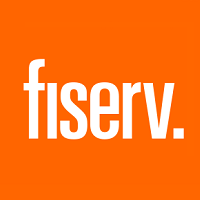 Fiserv is a US provider of financial services technology. The company’s clients include banks, thrifts, credit unions, securities broker-dealers, leasing and finance companies, and retailers. In October 2015, American Banker and BAI ranked the company third by revenue among technology providers to U.S. banks. Fiserv reported total revenue of $ 5.51 billion in 2016. Automate test cases for multiple platforms like Web, Mobile (iOS/ Android), Services, etc. Create and maintain documentation including Release processes Test Plans, QA Process Docs, and SharePoint site. Candidates can directly click on the below link to attain the Fiserv Jobs In Chennai. Furthermore, you can strive through the official site of the Fiserv @ fiserv.com for any other update. We hereby enclose our Freshers Now page with all the suitable details. Furthermore, you can get the latest information about the Fiserv Recruitment 2019 only if you bookmark us. You can even comment us in the below section.